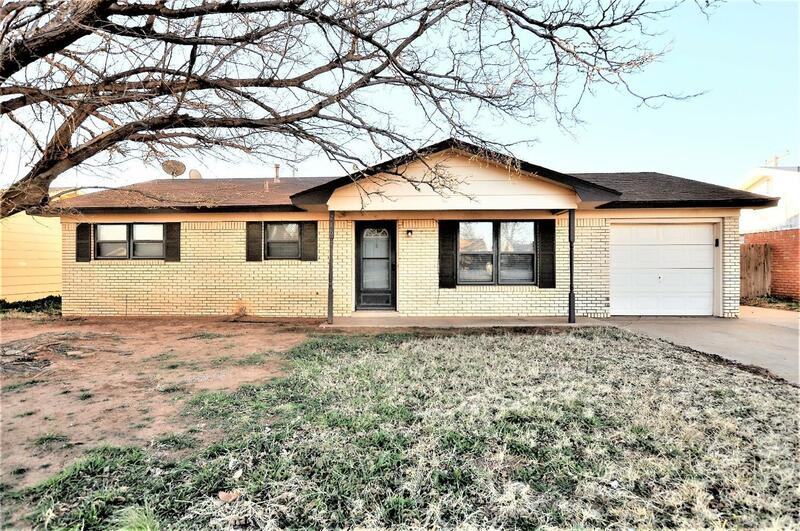 Great 4 bedroom, 2 bath, starter home move-in ready located at the Kauffman Addition. Home features nice colors throughout the house, Awesome yard with large covered porch, Pergola, large storage building and nicely landscaped yard. Isolated master suite with 2 closets. Ceiling fans, and window blinds. Seller will get roof replaced prior to closing. Home is ready for new owners..